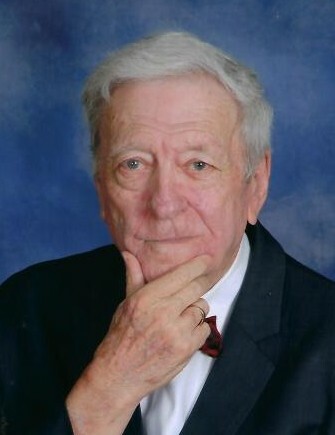 James Lewis Stoller, 83, passed away Sunday April 7, 2019 at home. Jim was born in Winchester, Kentucky June 28, 1935 to the late Karl Montgomery Stoller and and the late Claire Brantley Stoller. Funeral Services will be held Wednesday April 10, 2019, 2:00 PM at St. Johns United Methodist Church 217 St. John’s Avenue Norway, SC. Burial will follow in the Denmark Cemetery, Denmark, SC. He graduated from Carlisle Military School. He attended the University of Georgia and received his Master’s in Law from the Atlanta Law School in 1962. He retired from the South Carolina Pardon and Parole Board where he served as the Agent in Charge for Bamberg and Allendale Counties. He is survived by his daughters Claire S. Hallman (Richard) of Denmark, SC, daughter Helen S. Sanborn (Blake) of Mt. Pleasant SC and his son Karl M. Stoller, II (Michelle) of Orangeburg, SC. Granddaughter Lauren E. Leverett of Mt. Pleasant, SC. Grandson William K. Leverett (Loretta) of Murrells Inlet, SC. Granddaughter Gracie Sanborn of Mt. Pleasant, SC. Granddaughters Brette Tabatabai (Kayvon) of Doylestown, PA. Dallas H. Stoller and Karlee G. Stoller of Orangeburg, SC. Great Grandsons Baylor Leverett and Lathan Leverett of Murrells Inlet, SC and Great Grandson Zia Tabatabai and Great Granddaughter Nila Tabatabai of Doylestown, PA.
Family will receive friends Tuesday, April 9, 2019 from 6:00 PM-8:00 PM at Cooner Funeral Home, LLC in Bamberg, SC. In Lieu of flowers memorials may be made to St. Johns United Methodist Church, 217 St. John’s Avenue Norway, SC 29113 or Edisto Home Care and Hospice, 1180 Boulevard Street Suite C Orangeburg, SC 29115.